Based on a review of key reports and experts' opinions, summarizes the debate over "dual-use" technologies and the various approaches to controlling biosecurity risk. Outlines proposed preventive measures and steps to build response capacity. 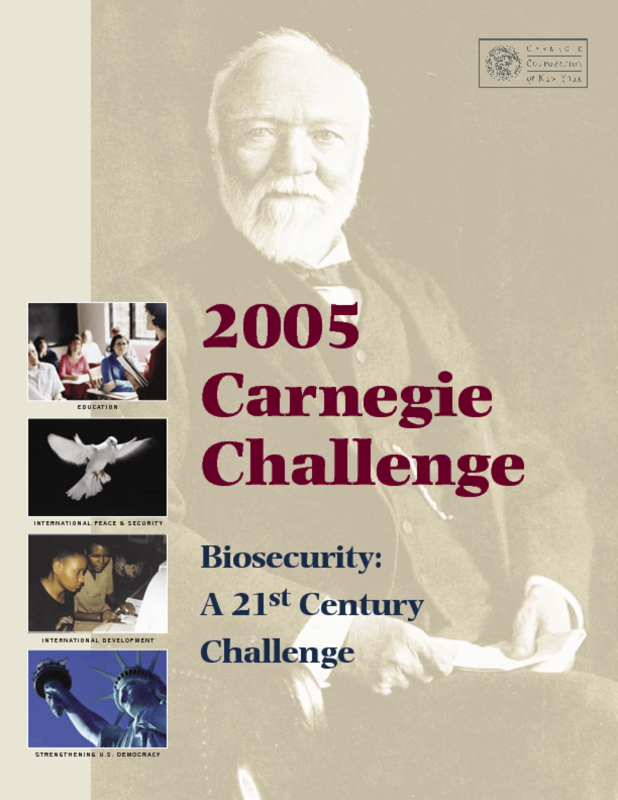 Copyright 2005 Carnegie Corporation of New York.